GEOSTROYPROEKT | All kinds of geodetic works. A team of professionals to solve engineering problems! We are on a tight schedule to resolve any issues related to the work on the design areas, land management and surveying. If we undertake the work, then execute it – clearly, confidently and without unnecessary delay. “GEOSTROYPROEKT” does not give empty promises, always ensures reliable performance of services under the contract, and even a little more. 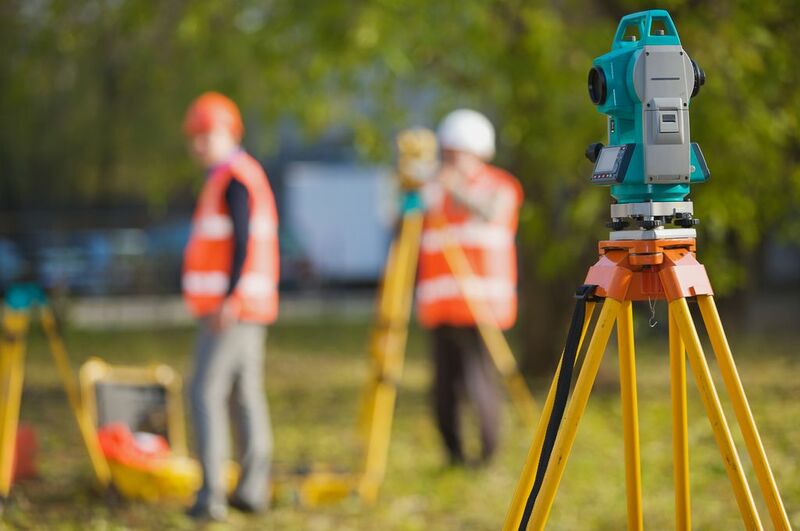 A little more – it professional advice on your questions relating to surveying, geodetic surveys and registration of land. To start cooperation just call us at +7 (4162) 52-03-44 and make an appointment. Surveying work is the main specialization of “GEOSTROYPROEKT” .For years of the portfolio companies joined more than 100 successful projects of different levels of complexity. We can guarantee you prompt service and reasonable prices. All work is done in strict accordance with the standard documentation. This is – (Gr. Geodaisa, from ge – Land and daio – divide, divide), the science of determining the position of objects on the earth’s surface, about the size, shape and gravity field of the Earth and other planets. It is a branch of applied mathematics that is closely connected with the geometry, mathematical analysis, the classical potential theory, mathematical statistics and computational mathematics. At the same time it is the science of measurement, which develops methods for determining distances, angles and gravity through a variety of devices. The main objective of geodesy – the creation of the coordinate system and the construction of geodetic networks, allowing to determine the position of points on the earth’s surface. This important role is played measure the characteristics of the gravitational field of the Earth, linking geophysics surveying, using gravity data to study the structure and geodynamics of the Earth’s interior. For example, in geophysics geodetic measurement methods applied to the study of crustal movements, uplift and subsidence land masses. Conversely, in violation of the Earth’s rotation, which affect the accuracy of geodetic coordinate system, partly can be explained by the physical characteristics of litosfery.Geodezicheskie work usually performed by public services. IN RUSSIA creation and maintenance of the state geodetic network is engaged in Federal Service for State Registration, Cadastre and Cartography. International geodetic studies are organized and directed by the International Association of Geodesy, acting on the initiative and under the International Union of Geodesy and Geophysics. Geodetic works carried out at three levels. Firstly, it is planned shooting on location – determination of the position of points on the earth’s surface relative to the local reference points for the preparation of topographic maps used, for example, in the construction of dams and roads or land registry. The next level includes conducting surveys across the country; wherein the surface area and shape are determined with respect to a global reference network into the earth’s curvature. Finally, in a global problem, or higher, geodesy includes the creation of a support network for all other types of geodetic works. Higher Geodesy is defining figure of the Earth, its position in space and study its gravitational field. The latter is especially important, since all geodetic measurements (except distances) depend in part on determining the direction of gravity (which coincides with the direction of the plumb line). Geodetic instruments (instrument used for measuring angles and directions, and level measuring elevations) are set so that their axes are parallel to the mounting levels of the level surface is always perpendicular to the direction of gravity. Moreover, the shape of the earth’s surface (70% of which consists of the waters) in general determined by the configuration of the surface level, which is the idealized surface of the ocean; It was from her the countdown heights specific points (eg, height above sea level). In the Earth’s gravitational field to the level of the surface of understanding the surface at any point is placed on her body remains at rest. The configuration of the surface level is determined by measuring the force of gravity. The relative position of the points on the Earth’s surface is established by measuring the distance between them (with the proviso that each point of the geodesic network can directly be observed with several other places). At present, to determine the relative position of points of the earth’s surface as intermediate points are used artificial earth satellites, and the measured distance between the satellite and the ground station. Since these measured distances do not depend on the acceleration of gravity, it would seem that the gravitational field of the Earth does not play a significant role in the geodesic constructions. However, space geodesy, although with traditional ground-based observations, is not yet able to replace them. Moreover, the orbits of artificial satellites themselves determined by the gravitational field of the Earth, which again makes it necessary to study gravity. Surveying can be seen in the geometric and physical aspects. Geometric problems are solved surveying surveying methods, ie measurements and calculations of distances, angles and directions. The physical aspect is associated with measurements of gravity. Geodetic measurements are complicated by the specifics of the coordinate system, which includes latitude, longitude and altitude. Surface level, which sets the height of the point, not parallel due to changes in the force of gravity on the Earth’s surface caused by terrain features (distribution of mountains, valleys, depressions and so on.) And density of rocks forming the Earth. Similar reasons violate parallel to the surface having the same latitude or longitude. Furthermore, the results of calculations of geodesic indicators such coordinate point, and the measurement error affecting the physical model. Geodetic data is used in cartography, navigation and land use, for example, to determine the flood zone after the construction of the dam, the location of drilling platforms on the shelf, the exact position of the state and various administrative boundaries and so on. Navigation and strategic guidance system is equally dependent on the accuracy of the information about the target position and the adequacy of physical models of the Earth’s gravitational field. Geodetic measurements are used in seismology and the study of plate tectonics, and gravimetric survey is traditionally used by geologists in the search for oil and other minerals. 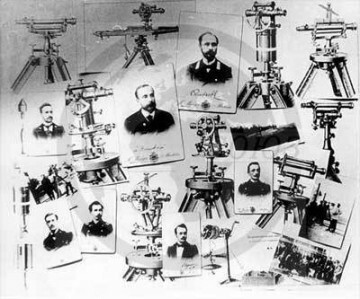 Surveying originated in ancient times. Its development has contributed to the progress of the natural and exact sciences, the invention of tools such as the pendulum and a telescope and others. However, over the past half-century surveying has achieved great success, than in the entire previous history, which is associated with the use of data obtained from satellites, the advent of electron computers and electronic instrumentation. Modern computers are allowed to carry out the analysis of a large amount of information used in geodesy new mathematical development, to give a new impetus to the development of theoretical geodesy in parallel with the progress of mathematics and information theory. The position of a point on the earth’s surface is determined by three coordinates: latitude (central angle formed by the vertical line at a given point with the plane of the equator, measured north or south of the equator), longitude (the angle between the plane of the meridian passing through a given point and the plane prime meridian, for which conditionally accepted the Greenwich meridian in England, counting from the west or east of the prime meridian) and height (the distance along the plumb line between this point and a level surface, such as mean sea level). Traditionally, the horizontal and vertical coordinates are considered separately and starting points are established for them separately. This difference is mainly dictated by practical considerations. Firstly, the main task of surveying – to identify the position of selected points on the surface of the Earth. In this high-rise, the situation changes in a much narrower range than the horizontal, and may be determined by a simple mathematical apparatus. Second, the classical methods of measuring heights differ greatly from those that are used to determine the parameters of the planned position. For example, horizontal angles determined much more accurately than the vertical dimension at which errors occur due to refraction of light rays in the atmosphere; therefore the measurement of vertical angles plays a smaller role in determining the heights. Theoretically, however, there are no barriers to co-determine the vertical and horizontal (planned) coordinates. Almost any measure altitude and planning characteristics can be summarized without imposing any particular level surfaces. Such a method is used in so-called spatial or space geodesy, where the definition of coordinates is carried out with artificial satellites and really no methodological differences in the measurement of the planned position and height. Although ultimately the use of satellites can reduce the need to develop separate methods of horizontal and vertical dimensions, different approaches will continue to solve many practical problems. Benchmark or definition terrain elevation points in the local and regional level or on a national scale carried out by determining the relative height (elevation) points on the earth surface. A set of methods for determining the height indicated by the generic term “leveling”. When used geometric leveling leveling with the plate level and the telescope, whose axis is aligned parallel to the surface level at a given location by bringing the bubble in the middle of the ampoule. There Levels with a compensator, in which the axis of the telescope is brought to the horizontal position automatically by a compensatory prism. Placing a level between two points (Fig. 1) and the countdown for two leveling rod mounted vertically at these points, determine the height difference between the two points. Exceedance may also be found by directly measuring the vertical angle (with respect to the horizontal plane or zenith); this measurement is carried out using a theodolite, installed at one point and aimed at another point. In this case, it is necessary to know the distance between these two points. This is known as trigonometric leveling; it is used most often in rough terrain with steep slopes, where the geometric leveling is not applicable. Trigonometric leveling due to atmospheric refraction is inferior in accuracy geometrical leveling. High-rise position of the points set by creating a leveling networks of individual lines – leveling courses; the excess leveling course is defined as the excess amount at the stations (between the individual points within the course); thus exceeding the station is the difference of readings on the front and rear leveling rod. Leveling moves routed so that they begin and end in the same point, forming a polygon; it helps to identify the measurement error, since the excess amount for a closed leveling must be zero and its difference from zero indicates the amount of error. Since the configuration of the level surfaces depends on the gravitational field of the Earth (for example, the presence of abnormally large mass in any one location is marked “swelling” of the surface level), these surfaces are not parallel. Due to the fact that the sighting ray is aligned parallel to the leveling surface level in a given place, the measured excess also depends on the force of gravity. To perform high-precision leveling its data should be complemented by gravimetric measurements. The height of the topographic surface above mean sea level is called the orthometric height. Orthometric correction is calculated using the gravimetric observations; the introduction of the amendment allows to take into account the non-parallelism level surfaces. Surface level, the closest corresponding global average sea level (the so-called mean sea level), is called the geoid surface (Fig. 2). On land, the surface is a continuation of sea level under the continents. That is, this surface serves as a zero, which traditionally are measured by the absolute height. Mean sea level is determined based on systematic observation (monitoring) of the tides. However, establishing a zero height at mean sea level is complicated by the fact that on a regional scale it is not strictly sustained; sea ​​surface deviates to a few tens of centimeters from the horizontal under the influence of the prevailing winds, currents, temperature fluctuations and water salinity and atmospheric pressure. On the scale of a single country zero height is determined based on the averaged indicators of long-term measurements in several gauges. However, since the deviation of the measured mean sea level of the true level of the surface is too large, it is not possible to adopt a single global zero, based on measurements of sea level. GEOID – the figure of the Earth’s limited level surface coinciding with an average level of the oceans of smooth water masses and extended under the continents. Shared Earth’s ellipsoid is a geometric figure that most closely approximates the geoid surface. The angle between the vertical line at a given point and perpendicular to the surface of the ellipsoid is called the plumb line. Deviation (positive or negative) of the geoid ellipsoid ondulyatsiyami called the geoid. Leveling network are divided into a network of the 1st, 2nd and 3rd classes, in accordance with the required accuracy, the distance between the individual items, with a total length and method of leveling. The most accurate network 1st class are the main basis, to establish a unified system of heights for the entire country. Networks 2nd class complement and concentrated more accurate network 1st class. In these networks, the distance between adjacent nodes and items set out on the ground with special marks and reference points, less than in networks 1st class. Network 3rd Class laid for direct height control engineering projects and large-scale topographic surveys. Their accuracy is determined by the specific requirements in each case. Creating geodetic network planning based on the definition of directions, distances between points and angles. For measuring angles and directions used mainly theodolite, the main working part of which the telescope is rotated about the horizontal and vertical axes. Angle in both the horizontal and vertical plane measured azimuth circle. Horizontal circle on which count horizontal angles and directions aligned with the special plate level. Vertical circle is used to measure angles. Theodolite can also be used for measuring the latitude and longitude of a point on the ground. The wire stargazing, occupying a definite position on the celestial sphere. Previously used to measure distances measuring tapes or rail. Modern rangefinder fixes the time at which electromagnetic waves travel distance between the device located at a single point, and a reflector mounted at another point. Because the speed of propagation of electromagnetic waves in air is known, the distance between points is defined as the product of the time speed. In devices for measuring distances, based on this principle, using laser sources and microwave radiation. Theodolite and electronic distance measuring device mounted as an integral unit, including devices for reading electronic and automatic correction of measurement errors. Building a geodetic reference network, there are three methods: 1) triangulation, when the planned provision of geodetic points on the terrain is determined by constructing systems located adjacent triangles in which angles are measured and the lengths of the sides are calculated along the length of at least one accurate measurement of the basal side (or base) ( Fig. 3); 2) trilateration – by building systems located adjacent triangles and measuring their sides; 3) traverse – laying on the ground systems polylines (polygonometric moves), which consistently measured angles and the length of each segment connecting two points. In triangulation and trilateration to determine the size and shape of a triangle is enough to know the value of two angles and one side or the lengths of all three sides. The length of the sides of the triangles in planned networks usually do not exceed 15 km; in densely populated areas, cities and other locations where a concentration of networks, they are much shorter. To reduce the errors measured all three angles, then the sum is reduced to a certain sum of the angles of a triangle (component for spherical triangles few more than 180 °). Planned linear characteristics of the network are obtained by determining at least one side of the triangle; In addition, in order to control and other measurements are performed. Distances between places at different elevations, are brought to the horizontal plane. Binding geodetic network, especially geodetic control points of high class, performs measurements of astronomical azimuth, latitude and longitude at regular intervals on the ground. The earth is not perfectly spherical; deviation is approximately 1/300, mainly due to the fact that the Earth is flattened at the poles and is close to the compressed ellipsoid of revolution (biaxial ellipsoid obtained by rotating an ellipse around the short axis). Therefore, as the initial surface level in constructing geodetic network uses the reference ellipsoid surface, a short axis parallel to the axis of rotation of the Earth, and dimensioned so that it coincides with maximum surface area for the geoid. All distances and directions measured at the Earth’s surface when determining the planned position of the point, converted (reducyruut) to transfer to the surface of the reference ellipsoid. For example, in the measured values ​​of the distances between the points necessary to amend their excess above the reference ellipsoid, which corresponds to the sum of the true excess of the geoid in this place and orthometric height (ie measured strictly vertically above the surface of the geoid). Likewise, corners and directions or azimuth measured in a horizontal plane, to obtain converted values ​​corresponding to the reference ellipsoid surface, as plumb line is not aligned perpendicular to the surface of the reference ellipsoid. Therefore, a correction for the plumb line (Fig. 2). In addition, there is a difference between the coordinates (latitude and longitude) of the point obtained by astronomical observations (astronomical coordinates), and geodetic coordinates of the corresponding point on the surface of the ellipsoid. Note that the position and direction of the geoid and the plumb line accounted for in determining the horizontal and vertical positions of the support points of the network. This once again demonstrates the importance of studies of the gravitational field of the Earth. Historically, that in the territory of the largest countries in the surface of the reference ellipsoid aligned with the actual surface of the Earth at any one point of the core network, which at this point was determined by the plumb line. “Location” in the body of the Earth ellipsoid then sets the measurement of astronomical azimuth (direction to a neighboring point) and the angle that it makes with the direction of the azimuth of the celestial zenith, then the correlation of these variables with the geodetic azimuth and zenith distance of the points on the surface of the ellipsoid . With such a procedure is achieved short axis of the ellipsoid parallel to the rotation axis of the Earth. Differences configuration ellipsoid and geoid determined by the excess (the difference between the marks of their surfaces) in the “starting-point”. Finally, for fixing the support network planning defined size and shape (contraction) of the ellipsoid by methods commonly used for the calculation of the shape of the Earth. Thus, one point of the ellipsoid with respect to establishing the exact position of a corresponding point on the physical surface of the earth. On the basis of the height of the geoid, orthometric height and astronomical coordinates on the surface of the ellipsoid projected position of the other points of the earth’s surface. To clarify the position of the reference points on the intermediate points of the network to carry out additional definitions astronomical azimuth. In practice, the starting points of the geodetic network were chosen so as to ensure good compliance with the ellipsoid backbone of the country or a large geographical region. The center of the ellipsoid does not necessarily coincide with the center of mass of the Earth. Therefore, for different parts of the world use slightly different plan backbones. However, with the advent of artificial satellites orbiting the Earth is much simpler measurement of acceleration due to gravity on a global scale and, therefore, improve the accuracy of determining the position of the geoid and the accuracy of its compliance with the surface of the reference ellipsoid. Moreover, observing the movement of satellites from certain points on the Earth’s surface, determine the geocentric coordinates of these points. A plurality of ground stations, which found these coordinates provide a firm basis geodetic network. Planned position of other network stations is determined by conventional methods. If we manage to adopt a common terrestrial ellipsoid for all geodetic networks, this will avoid the complex and error-prone conversions in the transition from one regional network to another. The geometric shape of the ellipsoid is described by the equatorial radius and compression, which is the ratio of the difference of the lengths of the major and minor semiaxes of the ellipsoid to the semi-major axis. These parameters are usually determined together; previously used for this measurement results of planned ground networks, and now – measurements from satellites. The first definition of the size of the Earth was made by Eratosthenes of Alexandria in the 3rd century. BC, who believed that the Earth is a sphere. He knew that in the city of Aswan Sun is above all (almost at the zenith) at noon on the summer solstice. On the same day he measured zenith distance (the angle between the zenith direction and the direction of the Sun) in Alexandria and found that it is about 7,2 °. Knowing this, and the approximate distance between the two cities (meridian), he identified the radius of the Earth with an error of less than 15%. Arc distance is measured using astronomical observations by Chinese scientists in the 8th century. and Arab – 9 in. In Western Europe, attempts to determine the size of the Earth using more accurate methods have been made only in the 17th century., When it was kitted out several expeditions, whose task is to measure the length of a degree of arc by triangulation. Instead of measuring the height of the Sun, they observed the stars; they were able to measure with an accuracy of less than a few percent. Sent two expeditions, one to Lapland, and the other to Peru to verify the assertion of Isaac Newton that the consequence of the Earth’s rotation should be to increase its equatorial radius (and hence its compression at the poles). These expeditions will resolve the issue in favor of the ideas of Newton and denied the earlier results were not confirmed his point of view. Another very important way to determine the compression of the Earth is a measurement of the acceleration of gravity near the poles and the equator. If the Earth really is flattened at the poles form, the force of gravity should increase from the equator to the poles, because this decreases the distance to the center of mass of the Earth. French mathematician A.Klero (1713-1765) established the dependence of the force of gravity on the geometry (compression) for the first time found a strong relationship between the geometrical and physical parameters of the Earth. The third way to measure the earth’s ellipsoid compression (still used today) – monitoring traffic along the orbits of artificial satellites. If the Earth had a perfectly symmetric density distribution in the interior, then the orbit of any satellite would represent an ellipse, never change any position or orientation. However, the expansion of the Earth at the equator causes changes in the orbit (precession and nutation), studies are used to calculate the compression of the Earth and determine the parameters of the reference ellipsoid. Planned backbone formed by a series of meridional and latitudinal polygonometric moves, connects the points whose coordinates are determined from satellite observations. Such a transcontinental network moves, in addition to the main goal – to provide the basis for a planned surveying, also serves to monitor continental drift and plate motion of the crust. The advent of artificial satellites revolutionized the methods of surveying and greatly improve the accuracy of navigation and positioning points and objects on the Earth’s surface. The great advantage that gives surveying the use of artificial satellites, is that the satellite can be observed simultaneously with several ground stations, enabling users to define their relative positions. The satellite at the same time can play a passive role (for example, reflecting a laser beam sent from the ground station back on the same station) or an active role (continuously sending and receiving radio signals). In the early stages of development of space geodesy signals fed in the form of flashing lights, which were photographed on a background of stars simultaneously from several ground stations located outside the immediate scope. Position of the satellite in the picture with respect to reference stars made it possible to determine the exact direction to it with this observation stations. Satellite systems allow the viewer, wherever he may be, to pinpoint your location (for example, global positioning systems – Global Positioning System, GPS, using a constellation of navigation satellites NAVSTAR). Usually measure the distance between the ground station and the satellite and the rate of change of this distance during the passage of the satellite. Distance is calculated from the time it takes electromagnetic signal (laser flash or radio-frequency pulse) to pass path from the satellite to the receiving station, provided that the velocity of the signal is known. Introduced an amendment for atmospheric refraction and signal delay. The rate of change of distance between the satellite and the receiving station is determined by the magnitude of the observed Doppler shift – change the frequency of the signal coming from the satellite. Another group of satellite measurements based on the principle of interferometry (i.e., superposition of waves), when the radar pulse is received at two points on the earth’s surface and its delay time is determined at one point with respect to another. The magnitude of this delay and the known speed of propagation of the wave with the angle of approach (which is calculated based on the known parameters of the satellite’s orbit) calculated the distance between two points. The observations also allow several satellites to pinpoint the direction of the base line connecting the ground stations. Various methods of observation possible to determine the absolute and relative position of objects on the Earth’s surface. In determining the absolute position (eg, distance) are used at least three satellites in orbits differ substantially since the position of each point of the earth’s surface varies along the three axes – from north to south, from east to west (horizontal coordinates) and up and down (altitude coordinates). Since this is very important at the time of observation, it usually requires a fourth satellite to compensate for the difference in the accuracy of determining the time on the clock installed on board of satellites and ground stations. Determining the relative position of points on the earth’s surface requires simultaneous monitoring of several satellites (in practice usually at least four), with two (or more) ground stations. To go to the geocentric coordinate system, it is necessary to know the elements of the orbit in this system, any error in the determination of which shall automatically entail inaccuracies in determining the position of the observation station. These errors can be reduced by averaging the values ​​observed for several days, weeks or months. Many systematic errors in the calculations of the orbital elements approximately equally reflected at all monitoring stations and cancel each other in determining the relative position of these stations, so the relative positions are usually determined with great accuracy. Depending on the number of concurrent receiving stations and simultaneously observable satellites could provide some differences between the received and transmitted signals; it is not affected by unknown factors. The most advanced space systems, serving to solve geodetic problems is global positioning systems, which began to be developed in the early 1970s on the basis of pre-existing navigation systems in naval and air forces of the USA. This system has become extremely accurate tool for solving applied problems of geodesy, geophysics and land use. GPS consists of three parts: working artificial satellites 18 placed symmetrically on the circular orbit, the control system and the users. Each satellite in the system is provided with a microprocessor for processing data, the transmitter and receiver for communication with a ground control system, and for transmitting function signals users, multiple atomic clocks to determine the exact time. Power supply of the satellite carried two large solar panels. The control system integrates operators and observers monitoring stations scattered across the planet. They determine the orbits of satellites continuously monitor the operation of their systems and the accuracy of the clock and transmit information to satellites to relay its users with a special receiver, which converts messages from the satellites in the coordinate information. The receiving device includes an antenna, a power source, a processor with multiple channels for receiving various input signals from the satellite, a recording device for storing the processed data and devices, enabling a user information readout. Latitude any point on the Earth’s surface is determined with respect to the equator (or, equivalently, with respect to the earth’s rotation axis which is perpendicular to the equator). Measure the height of the stars in the sky and knowing the declination of the star, the observer can determine the latitude of its location point, if he knows the orientation of the axis of rotation of the planet relative to the stars. Longitude is defined relative to the prime meridian, which passes through a point near the Greenwich Observatory in England. The angle between the meridian and the one on which the object is determined by the time required for a particular star to “move” on a daily parallels (but this movement is visible, because in reality the Earth rotates) from one meridian to another. The accuracy of measurement of latitude and longitude affected by fluctuations in the Earth’s rotation and the direction of the Earth’s axis relative to the stars and the earth’s crust. It is a change of orientation of the Earth’s axis relative to the celestial sphere leads to changes in the observed declination of a heavenly body, and in relation to the earth’s crust, this change affects the breadth defined by the observer. Most strongly influenced by the total precession with a period of about 25,700 years. When you rotate the Earth’s axis, like the top axis, describes a cone; As a result, over 12,850 years the North Pole of the Earth’s axis will be directed to the point of the celestial sphere, spaced approximately 47 ° from the North Star. Precession and other movements of smaller amplitude (nutation) due to the gravitational influence of the Earth Sun, Moon and other nearby planets. Changing the position of the North Pole (ie, the point of intersection of the Earth’s axis to the surface of the Earth) is related to the physical properties of the Earth’s interior, in particular, with the elasticity, the presence of the liquid core and non-uniform mass distribution. The position of the North Pole of the Earth also varies in time. At intervals of approx. 1.2, he describes the almost perfect circle with a diameter (measured at the Earth’s surface) is approximately 4-5 m.
All ground coordinate system one way or another tied to the North Pole to the initial meridian. Once adopted an international agreement on these initial parameters, all countries use the same coordinate system. The true state of the North Pole has been defined by the International Polar Motion Service, which includes a number of observatories; latitude of the observatory constantly calibrated astronomical observations. The paper also participates Service International Bureau of time in Paris. In 1988, instead of the two international organizations was established International Earth Rotation Service, which uses the constant observation of the Earth’s rotation (length of day and traffic poles) with numerous stations and observatories using traditional astronomical methods, VLBI, Satellite Laser Ranging and moon, etc. International Earth Rotation Service is responsible for the unified coordinate system determines the position of the Earth in space to solve geodetic, geophysical and astronomical applications, as well as to monitor the ratio universal time (which is a measure of the rotation of the Earth) and atomic measured by atomic clocks. To ensure the coincidence of these two systems of measuring time, atomic clocks are adjusted periodically for a few seconds. In order to implement an integrated approach to the issue of registration of real property, often required to work to design linear structures. 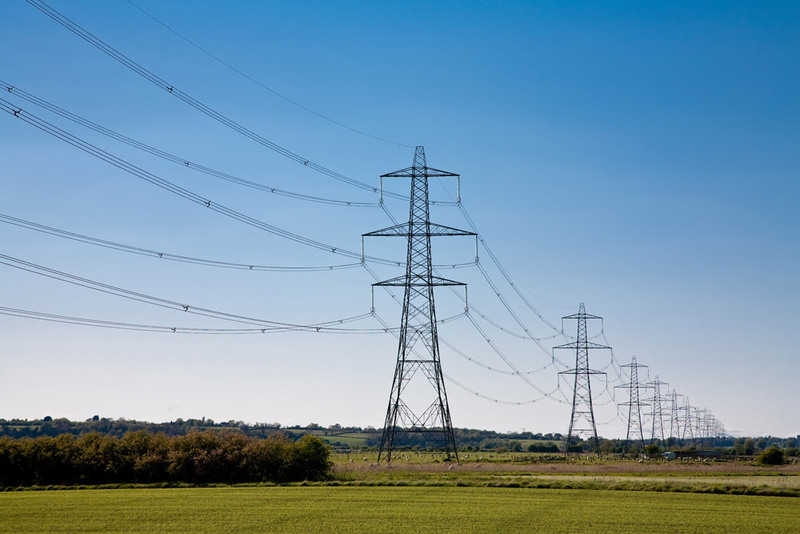 These include the design of roads, power lines, pipelines and other similar types of linear structures. The company “GEOSTROYPROEKT” has extensive experience with real estate, which determines the high level of professionalism of our company, which is able to perform as designing trails Highway and design of power lines. Profile linear structures will depend on the technical conditions, the economic requirements of the customer, the projected area and specific use facilities. Of course, we take into account not only the material and size of objects, and their properties in order to perfectly design any object. The main objective of our approach is the choice of optimal strategy and deployment of linear structures on the ground. For competent design of roads is important to consider a number of unique features of the area and the surrounding landscape. Often, most of the problems associated with the design of linear structures is achieved on the ground on the results of the corresponding topographic, geodetic and geological works. Getting to perform work on the design, we always guarantee the achievement of results.